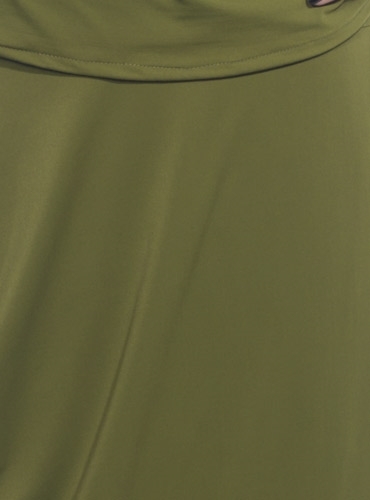 Green “Ogive” wrap skirt from Parisian designer Marie Meunier's unique collection, in a lightweight jersey. 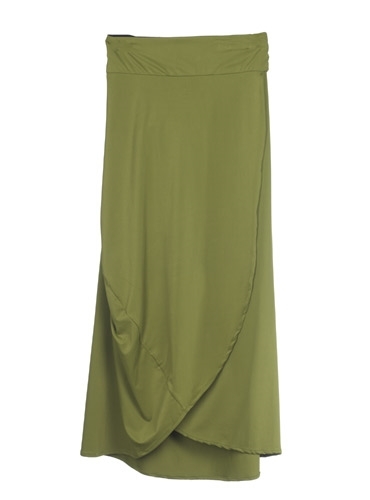 Easy fitting wrap style with beautiful draped details and pockets. One size fits most. Made in France.